Did you hear that there is supposed to be a pumpkin storage this year? There was talk about it, but when I went to the store, I saw plenty of pumpkin on the shelves. I do a lot of my shopping at BJ’s Wholesale Club, and they sell pumpkin by the 3 pack. I bought two three packs. Then I went to the grocery store and I saw the 15oz size cans of pumpkin for under a dollar, so I bought 3 more. I’m so ready for all things pumpkin. I found this cake on my beloved Pinterest. It’s also called a “dump cake” because basically you are throwing everything in the dish and baking it. I think crunch cake sounds nicer than dump cake don’t you? If you like pumpkin pie with a crunchy topping, this is a dessert for you. The bottom layer is like creamy pumpkin pie, and the top layer is nutty and crunchy. I used spice cake for this recipe, but yellow, butter or even white would work too. It literally took minutes to throw together. Sprinkle dry cake mix evenly over pumpkin mixture. Sprinkle the nuts over the top of the cake mix. Pour the melted butter evenly over the top of everything. Do not stir. Bake at 350 degrees for 50 to 60 minutes or until top is browned. Let cool before serving. Refrigerate leftovers. I made this not long ago for the first time and it is delicious. I love how simple it is to make too! There is an alleged pumpkin shortage every year. Baloney. I stocked up on two cases last year. And I am definitely going to use some of that pumpkin to make this cake!!!! 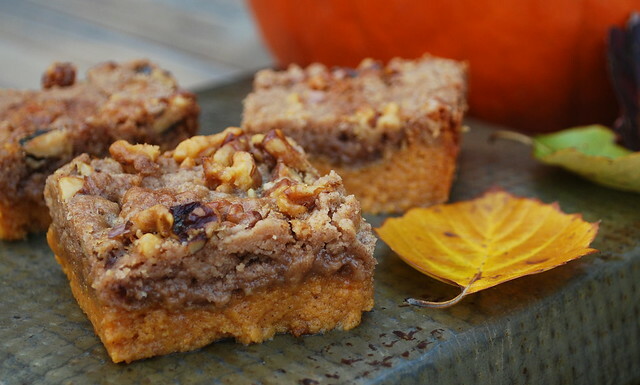 i have been looking for something yummy to make with pumpkin... this looks great! that looks so super good! Nice to see I'm not the only one who fell for that pumpkin shortage baloney. But at least I have some pumpkin left over to make this! That looks soooo yummy! 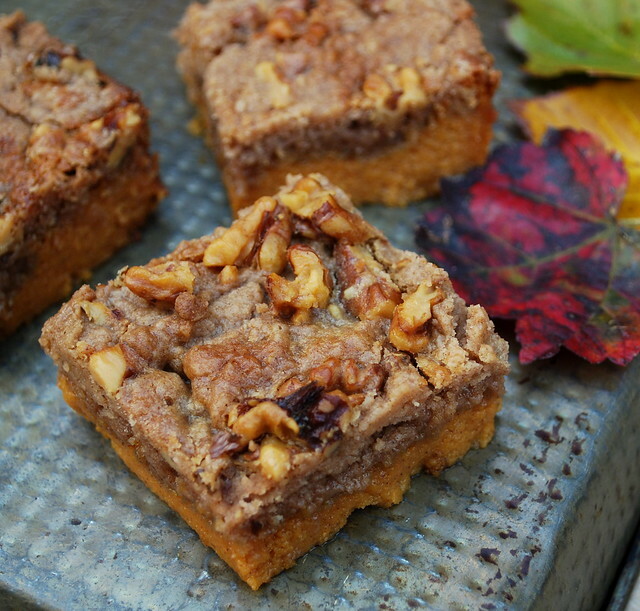 I love dump cake and a pumpkin version is a great idea! Love this - I really like dump cakes and the crunch really sounds better...actually that caught my attention big time! I have three bake sales in November. I do believe this will be making an appearance at one of them - at least. Looks delicious... may have to try that one today. Love your blog.... photos are inspiring! This looks absolutely delicious! I love all things pumpkin, I may try this for my coworkers. Will be making this at Christmastime. Pumpkin isn't just for Thanksgiving, right? Thanks so much for linking this up to our "Friday Free-For-All" Linky Party! made this for thanksgiving and it was a HUGE hit! thanks for sharing!